So this week we are having a sail and a sale! 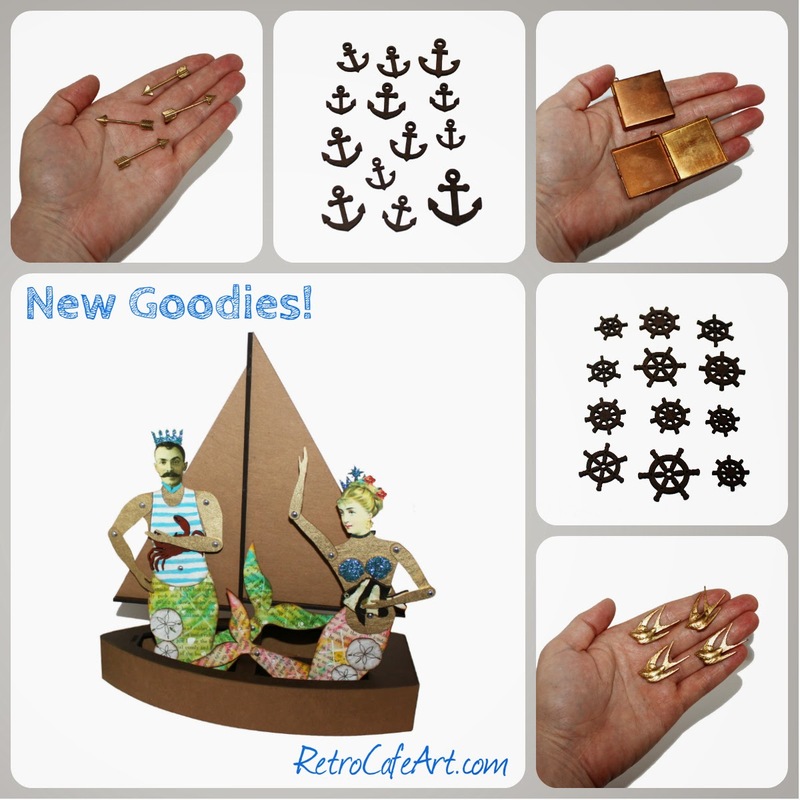 I really wanted something fun to display my merfolk in, so I designed a Sailboat Kit! Once I was finished, I took it to Chris and said "Look honey, I made a boat!". Not something I get to say often! All of our Sand and Sea goodies are on sale (not sail) and since I added more cool charms, I decided to keep the Charm Section ON SALE for one more week too! 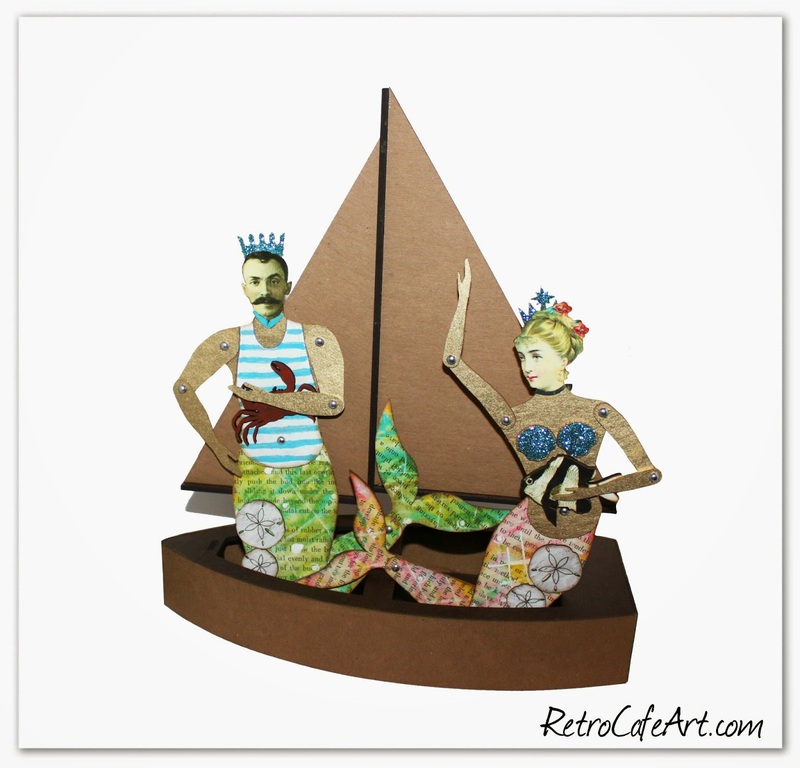 Seeing the Merfolk in the new Sailboat Kit makes me smile. I can't wait to art one of these up. When I do, I'm most definitely going to use the Large Wave Stencil Strips around the body of the boat. Too perfect. Mermaid Inspiration By Gerri Herbst! 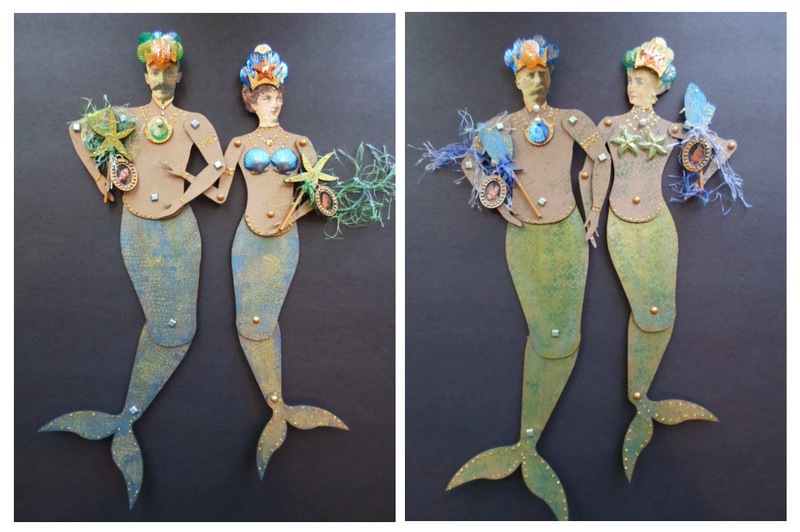 These stunning Merfolk are by Design Team Member Gerri Herbst! I'm loving their tails and their wands. Awesome Gerri! 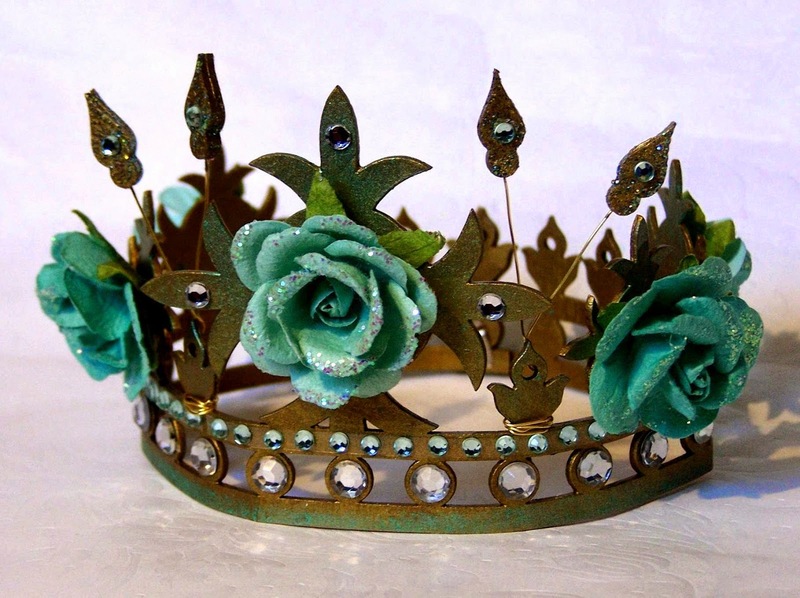 Crown Inspiration By Virginia Smith! 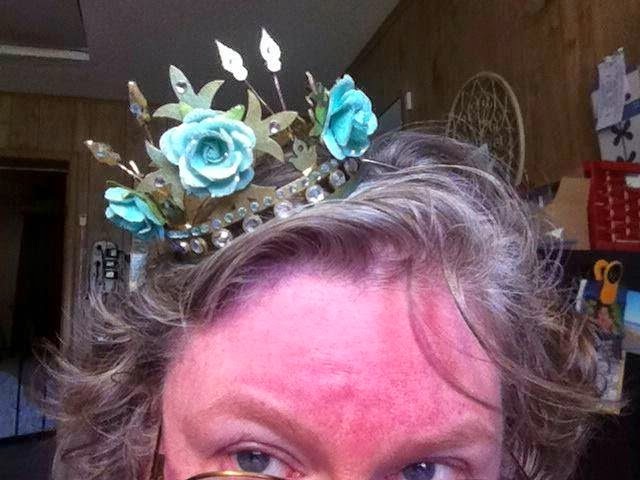 This awesome crown is by Virginia Smith! She even modeled it for us. Looking awesome Virginia! 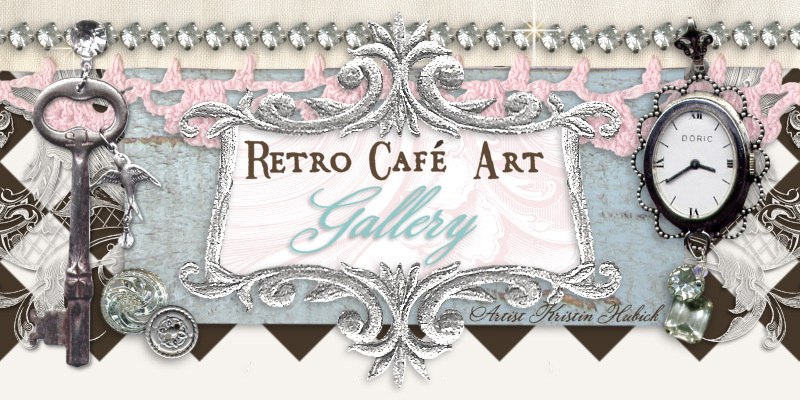 I'm loving this mixed media canvas by Danene Grillo. 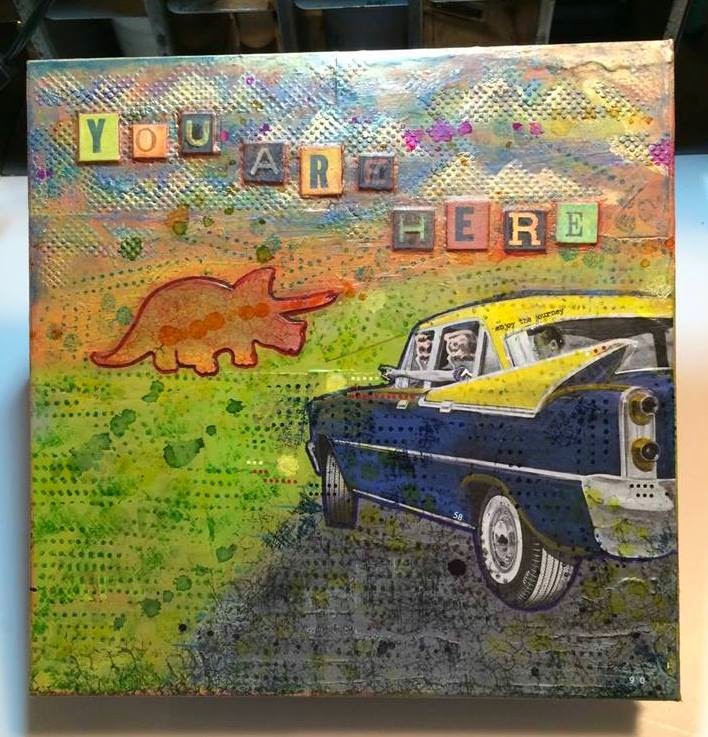 I just love the way she used our Dino Stencil. And that car is totally fabulous. Awesome Danene! 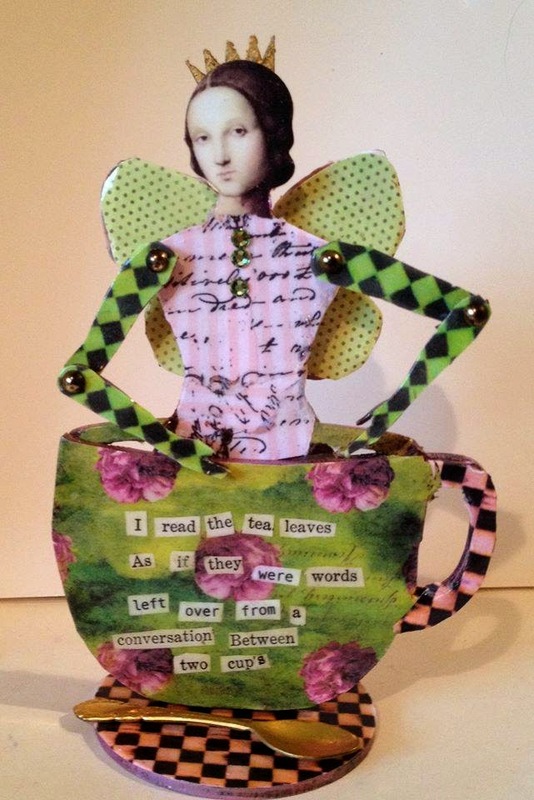 How lovely is this Tea Cup Fairy by Diana Darden? The colors, the quote, the spoon, the patterns, all so marvelous Diana! 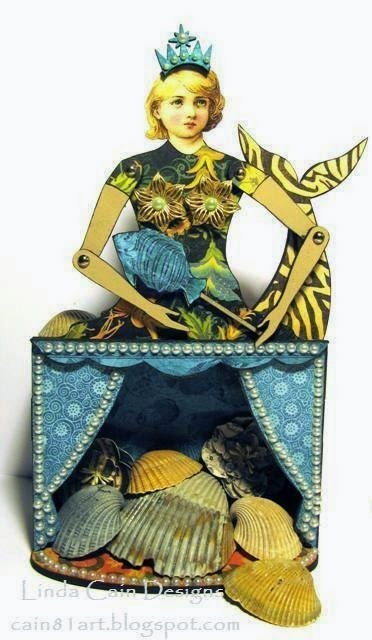 This wonderful Mermaid Theatre is by Design Team Member Linda Cain. You can read more about her on Linda's blog here! I love that Linda is using her to store ocean treasures from past vacations!